The Edson Aeros defeated the Hinton Wildcats 5-3 Saturday at home to capture the Provinces division title. The win also meant the team claimed a spot in this year's Western States Hockey League's Championship tournament, the Thorne Cup, in Ogden Utah. The Edson Aeros hockey team has barely been around for a full calendar year. 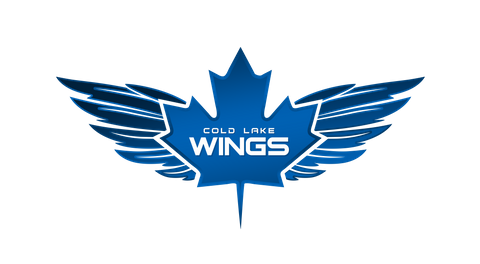 Yet, as a team and organization, they have been successful at every turn, rising to any challenge junior A hockey could throw at a new franchise. “It was an exciting year for us. There were lots of ups and downs and we made some mistakes along the way but the goal was always to try to learn from them," said Edson Aeros President and General Manager, Axel Axmann. 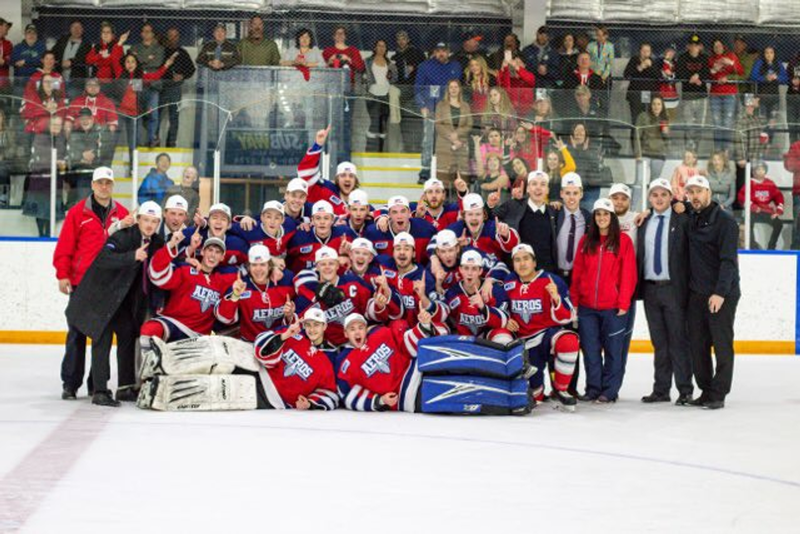 On Saturday evening, the Aeros added Division Title to their list of accomplishments this season and can now call themselves first ever Provinces Champions. The Hinton Wildcats didn't make things easy for the eventual winners in what would be the final game of the series. The #2 seeded Wildcats were off to a 2-0 lead on the road through the first 13:50 of the game. Despite being down by two and the Wildcats applying the pressure, Aeros forward and WSHL record holder with 76 goals in a single season, Emil Johansson did what he does best. With 6:10 remaining in the first period, Johansson was able to get the Aeros on the board via a powerplay goal. Edson would capitalize on another powerplay and even the score at the 2:42 mark of the second thanks to an Olle Berndtsson blast from the faceoff dot. “Hinton really came on strong and always played us hard. I was impressed by their tenancity, relentless work ethic and their drive to be better. They really gave us a battle in the Division final. They are a good team and are going to continue to be a very good hockey team in the future.” continued Axmann. The Aeros and Wildcats would each score one more time in the second, setting up a tie game heading into the final 20 minutes.Through much of the third period, both teams were unable to get the go ahead goal. It took an eventual 15:46 for Edson forward Ryley Bast to crack Wildcats goaltender Max Gaudet who finished the evening with 42 saves. Gaudet would eventually be pulled in favour of an extra attacker, setting up a thrilling conclusion to an amazing first WPHA season. 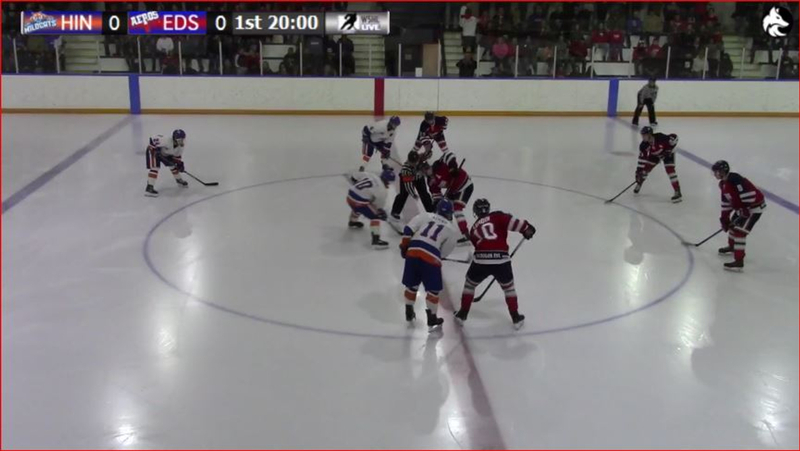 Check out the last Edson goal as well as the Aeros Championship celebration, courtesy BlackDog Hockey. 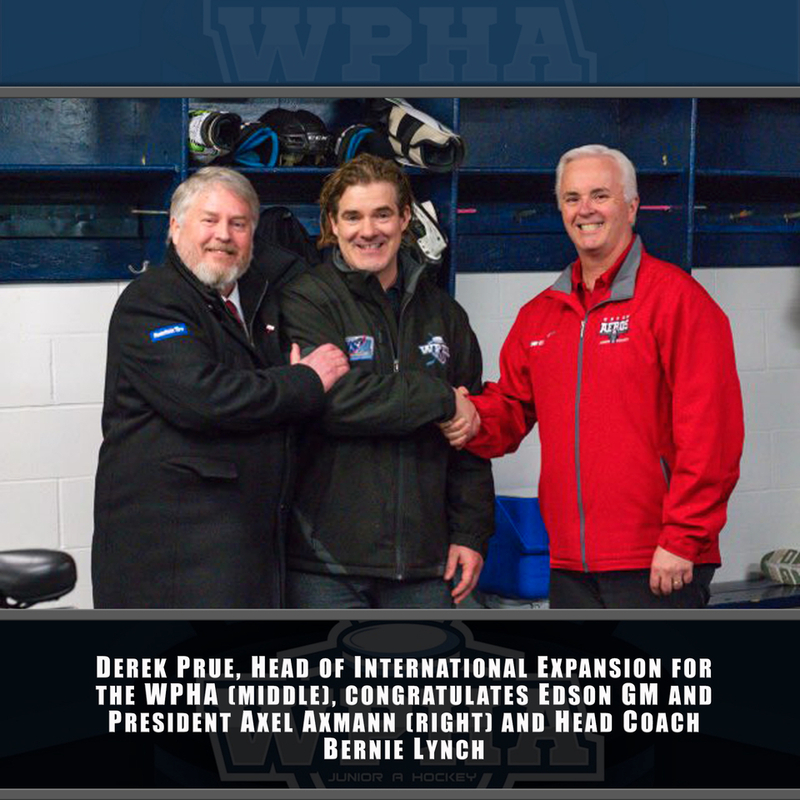 BlackDog Hockey is the official broadcast partner of the WSHL and WPHA. The entire Thorne Cup will be broadcast live from Ogden, Utah. All broadcasts available in HD or On-Demand. "We're looking forward to the challenge of the Thorne Cup Finals. We'll be playing Ogden Bellingham and Long Beach. All great squads and we'll have our work cut out for us." "Really excited about heading to Utah to represent the Division and the Town of Edson," finished Axmann.